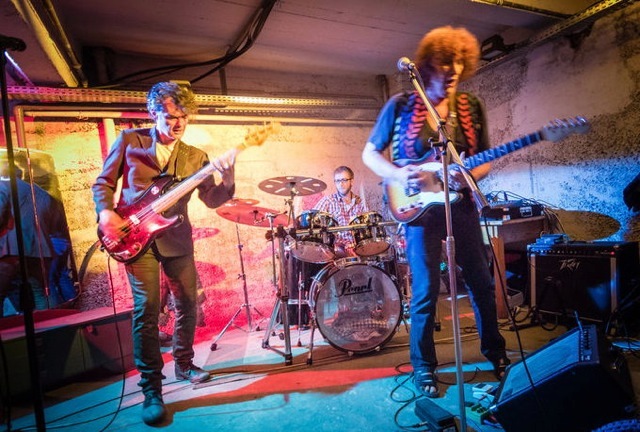 The Rock/Blues trio “The Chantal Experience” will be giving a free concert on Thursday evening April 12th at a big bar near Place de l’Homme de Fer called “Le Grincheux”. The band plays mainly Jimi Hendrix covers, along with a couple of our favourite Cream and Rolling Stones songs. We will be playing between roughly 8:45pm and 11 pm in two sets. As the bar was previously a cabaret, there are tables in a circle on the first floor where you can look down on the stage for a relatively quieter experience. I would suggest coming before 7:30pm as the tables quickly fill up. The Grincheux is open from 4:30pm and has a great variety of beers and whiskies.